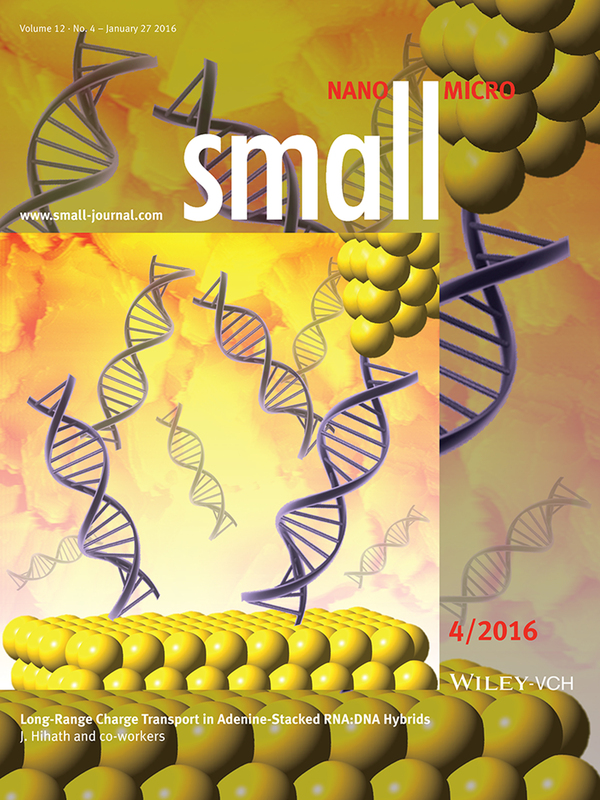 Professor Josh Hihath’s student Yuanhui Li’s paper “Molecular Electronics: Long-Range Charge Transport in Adenine-Stacked RNA:DNA Hybrids” is highlighted on the current cover of the journal Small. To view the artcile, visit here. To see the issue of Small online, visit here.